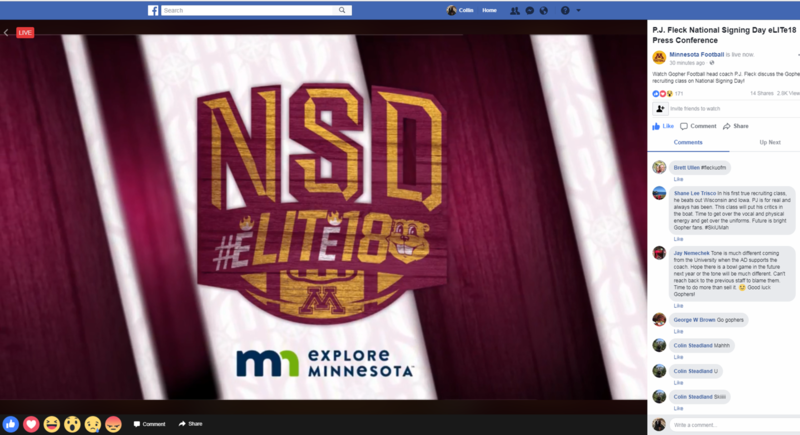 Digital signage rotation 24/7/365 on the External Marquee at TCF Bank Stadium. 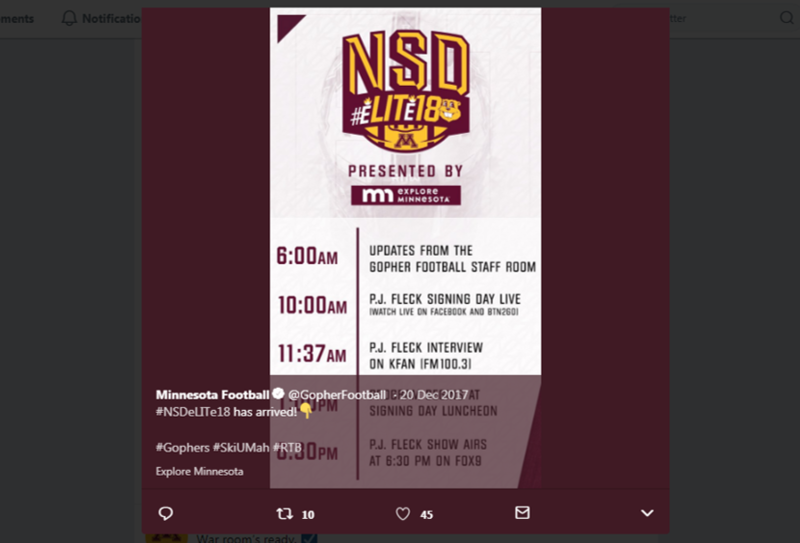 Explore Minnesota was the Presenting Partner of Gopher Football National Signing Day 2018. 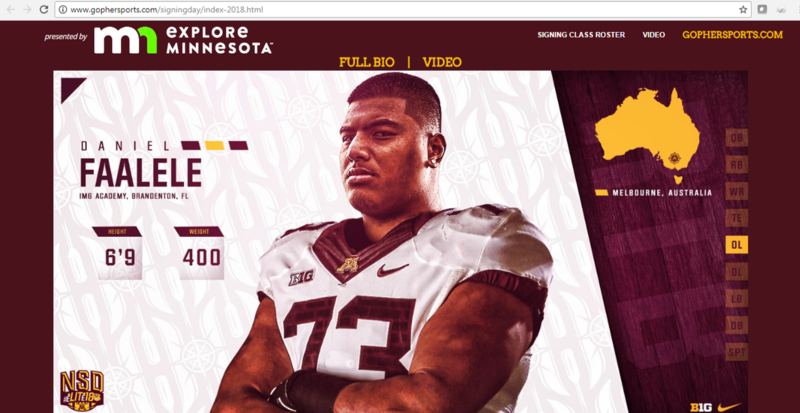 Co-branded creative and presenting partner designation on all Gopher Athletic marketing materials. 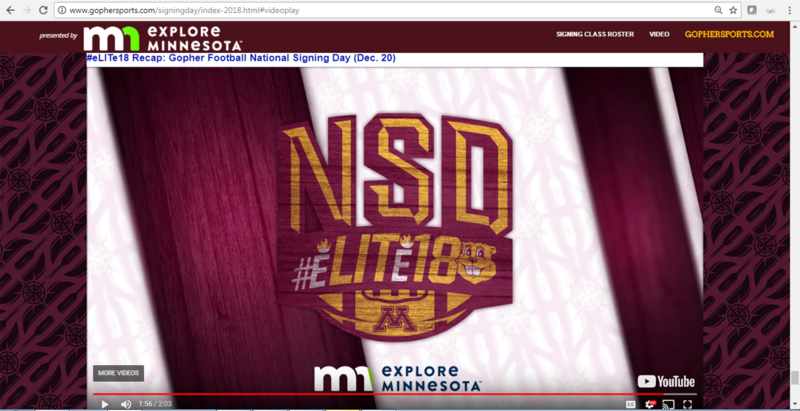 Signing Day Central on GopherSports.com - menu page, player profiles, highlights, etc. Each campaign is guaranteed to receive a minimum of 250,000 impressions. 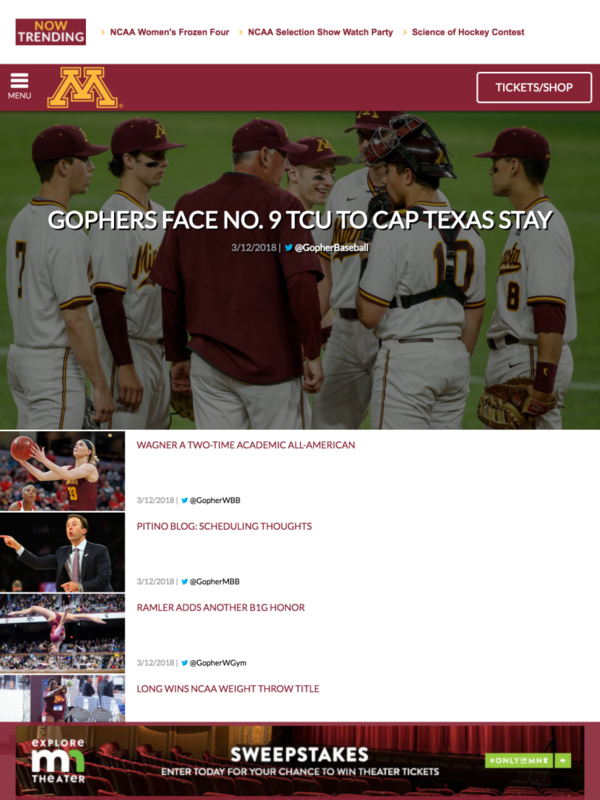 Four (4) separate campaigns were executed throughout the course of the athletic year. 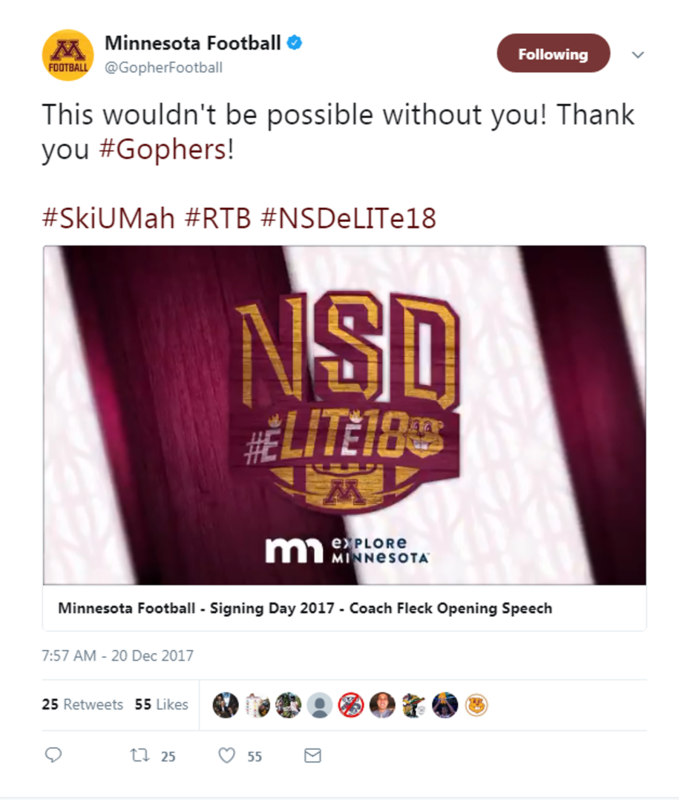 thank you for your Continued partnership with gopher athletics!